iTunes is the home for Apple Music, a sophisticated multimedia content manager, a hardware synchronization manager, and an e-commerce platform. More so, the iTunes software is a digital media player that is used by millions of Apple device users to download media contents, play media files, organize and create playlists, manage, backup, restore or synchronize media content, update iOS devices, and purchase media files via the iTunes Store. Nevertheless, getting the right version of iTunes for your computer operating system can sometimes be a big challenge, and when you even get one, it may come with some cost. Hence, we are going to list the different versions of iTunes, make available links for iTunes free download, and proffer solutions for fixing faulty iTunes software. Part 1: How Many iTunes Versions are there? Part 2: Is it Possible to Download iTunes Free? Part 4: What If Your iTunes Cannot be Used? How Many iTunes Versions are there? Ever since the inception of iTunes on January 9, 2001 (i.e. 17 years ago), Apple has released 11 more versions of iTunes with a variety of upgrades to each version. Is it Possible to Download iTunes Free? Yes, you can download iTunes free from the official Apple website for Windows and Linus users, but for Mac users, it comes pre-installed in the computer. However, if you want to get iTunes from a CD or DVD, which may not be possible because iTunes is only available for download. What If Your iTunes Cannot be Used? Encountering errors and issues in iTunes after downloading it from Microsoft Store or Apple official website can be painful, and in some instances, iTunes may be useless and unresponsive. However, iMyFone TunesFix	can help you fix all iTunes update or installation issues and errors. 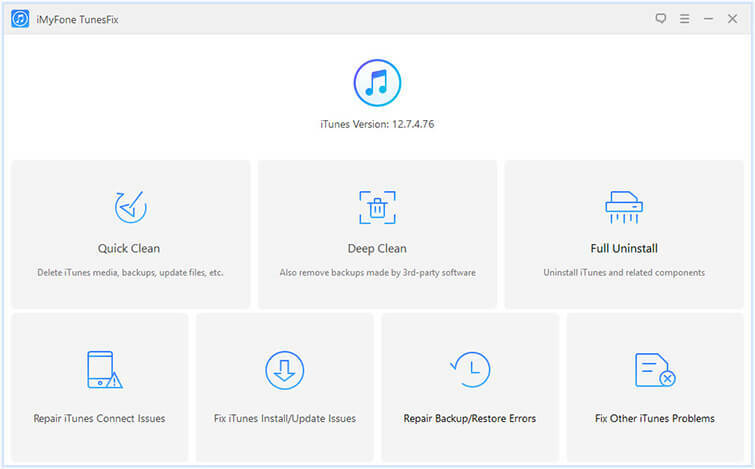 You can take advantage of TunesFix to repair your iTunes, clean up caches, temp files, or cookies causing errors in iTunes, or set any Windows system registry errors that can stop iTunes from working properly. 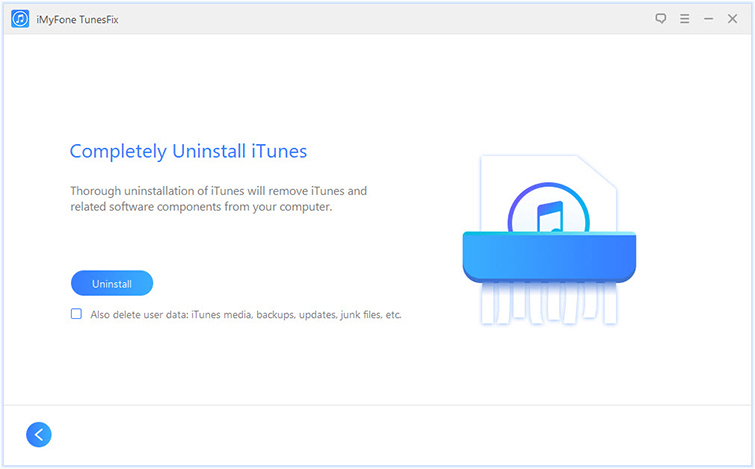 Fully uninstall a faulty version of iTunes with its related software components, and reinstall an updated version of iTunes. Fix all Windows registry errors and issues that can stop iTunes from working. Erase unneeded iTunes files to create space in your computer storage. Completely fixes any version of iTunes and offer you improved iTunes performance, speed, and stability. Step 1. Launch iMyFone TunesFix on your Mac or Windows PC, and click “Full Uninstall”. Step 2. Click the “Uninstall” tab, and check “Also delete user data…” if you want to clean up your backup files. Step 3. Tap on the tab “Click here” to reinstall iTunes. 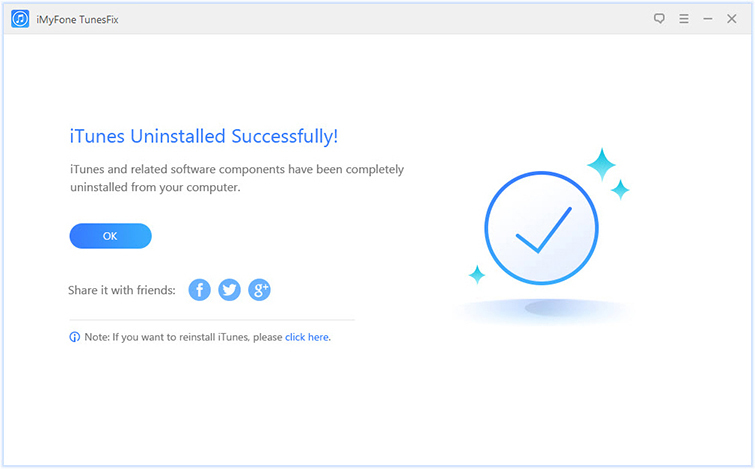 iTunes free download is possible, but you need an iTunes repairer tool to get the best out your iTunes software. Therefore, get iMyFone TunesFix now. How to Fix iTunes Error 4280 – Best Solution Here!